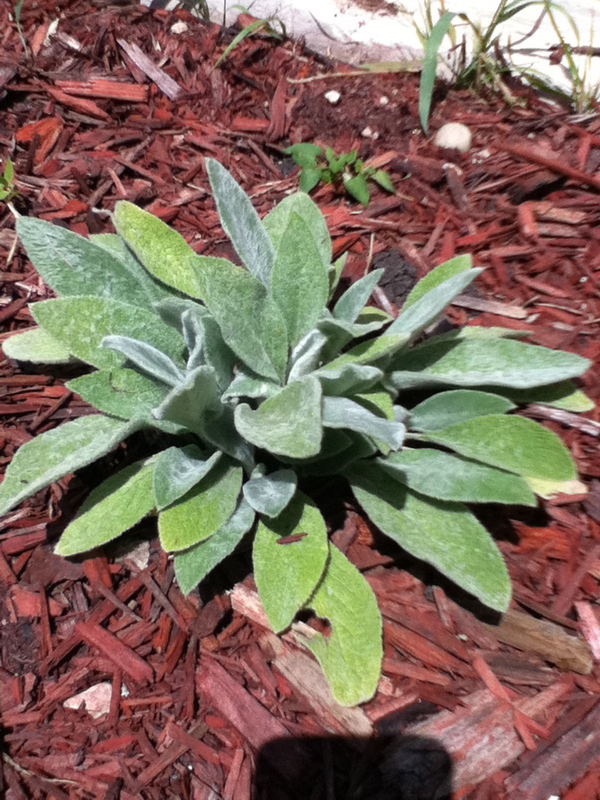 Description: Lamb's Ears is a low growing spreader with very fuzzy, pale, silvery gray-green foliage. Height: 6 - 8" (12 -18" in flower), Width: 12"
Uses: Don't try to use Lamb's Ears as a specimen plant. They look best either as a rambling ground cover or as soft edging. As an edger, they will need to be kept within bounds. Besides spreading by roots, Lamb's Ears can self-seed profusely. Tips: The silvery foliage makes a nice complement to purple flowering plants. Lamb's Ears are considered a zone 5 plant. Some people can grow it in their yards, some simply can't. Love the fuzzy leaves on it though. Another perennial substitute for the grey fuzziness is a Rose Campion Lychnis.